Chocolate consumption has been linked to a bevy of health benefits. Previous studies have established a link between chocolate consumption and better heart health, reduced stress levels and even lowered cholesterol. Those who love chocolates can rejoice further as the experts from the University of L'Aquila in Italy have found chocolates to be beneficial for older people as well. The study was published in the journal Frontiers in Nutrition and noted that chocolate consumption in moderation may help improve cognitive skills such as working memory, visual processing speed as well as help counteract different types of mental impairments, particularly in older adults. Chocolate's benefits can be attributed to cocoa bean, which is its main ingredient and a rich source of flavanols -- a class of natural compounds that has neuroprotective effects, the study said. It was found that regular cocoa consumption in older adults lead to improvements in general cognition, attention, processing speed and working memory. Cocoa has also been associated with benefiting women who suffer from chronic sleep deprivation and face less accuracy in performing tasks. The effect of cocoa was relatively seen for a long-time, ranging from five days up to three months. "This study suggests the potential of cocoa flavanols to protect cognition in vulnerable populations over time by improving cognitive performance. 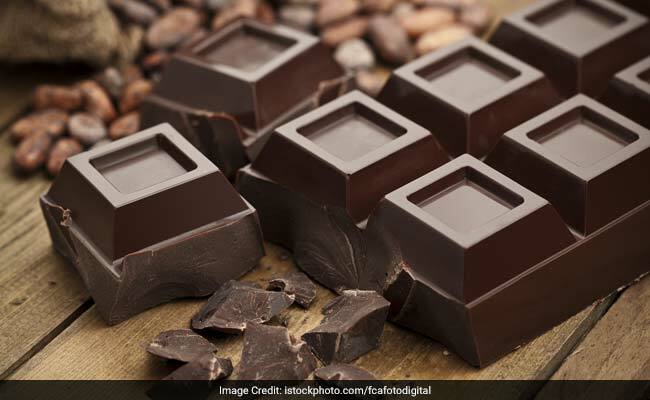 Regular intake of cocoa and chocolate could indeed provide beneficial effects on cognitive functioning over time," Valentina Socci from the University of L'Aquila in Italy. A diet rich in cocoa flavanols is also believed to benefit cardiovascular health and reduce the risk of developing age-related heart ailments. "We found that intake of flavanols significantly improves several of the hallmarks of cardiovascular health," Malte Kelm, professor at Dusseldorf University Hospital in Germany was quoted by IANS.